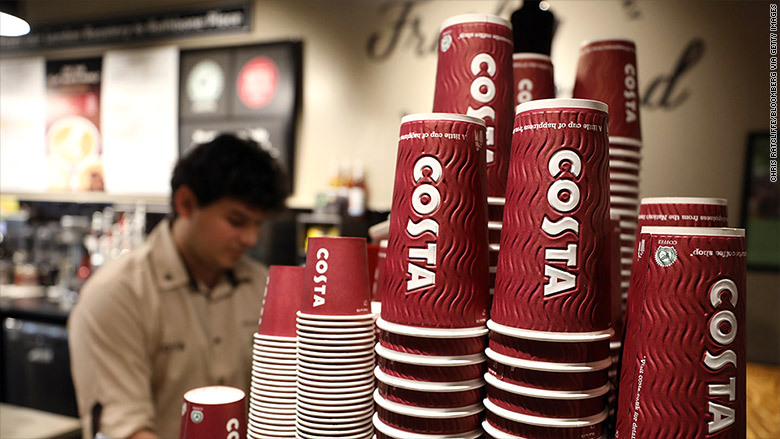 Costa has nearly 4,000 stores across 32 countries. It will give Coca-Cola (KO) "a strong coffee platform across parts of Europe, Asia Pacific, the Middle East and Africa, with the opportunity for additional expansion," Coca-Cola said in a statement. Buying Costa puts Coke in direct competition with Starbucks (SBUX) and several other global coffee brands. Earlier this year, Nestle (NSRGF) and Starbucks agreed a $7.2 billion global coffee alliance, which will see Nestle market, sell and distribute Starbucks products outside its stores worldwide. JAB, the Luxembourg-based holding company that owns brands like Krispy Kreme and Peet's Coffee, bought UK sandwich and coffee chain Pret A Manger in May. Competition is heating up in other areas, too. 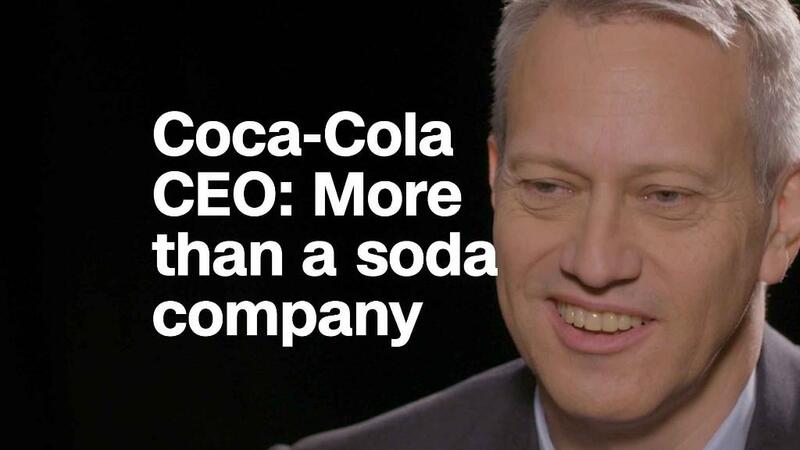 Coca-Cola's chief rival Pepsi (PEP) announced earlier this month that it would buy Israeli DIY seltzer company SodaStream for $3.2 billion.